Greetings! As you might be aware that the immensely popular and one of the power bikes of Indian two wheeler industry is now available for sale, Honda has got some great aspirations from the bike as they have set themselves a target of selling at least 30,000 bikes in India in the first year. The amount of response the bike attained was tremendous and thus the company has decided to set such an uphill sales task for themselves. Honda is all geared up to sell at least 30,000 bikes in the first year and they are very well striving to achieve that mark said their Vice president Mr. N.K. Rattan. Mr. Rattan also stressed the point that the CBR250R is the first bike in the 250cc bike category to have ABS system and this will help the company to sell more of the bikes overtime. The news confirming Honda plans of setting such an uphill task for them came at the unveiling ceremony of the bike at Chennai. He said that so far the bike has received good response from the market and thus selling 30,000 units wouldn’t be that hard nut to crack. Two variants of the bike were unveiled at Chennai, one with ABS and other without ABS costing 1.45 and 1.70 lakh (Ex Showroom, Chennai) respectively. 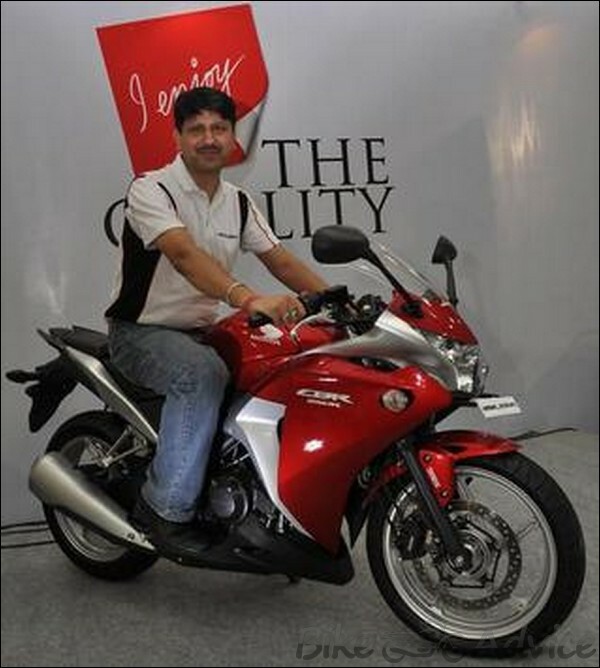 The bike is up for grabs on the 430 dealership bases across the country. The bike is available in six varied colors and sports a full cowl body with Y shaped headlights and plenty of other features as well. Honda CBR-250R was unveiled at the four-day Auto World Expo organized by Benchmark Exhibitions India at the Chennai Trade Center. All in all, it was a great event wherein Honda has set themselves an uphill task of selling at least 30,000 CBR250R during their first year. We will have to wait and watch how things turn up for Honda and if they would be able to achieve their target.